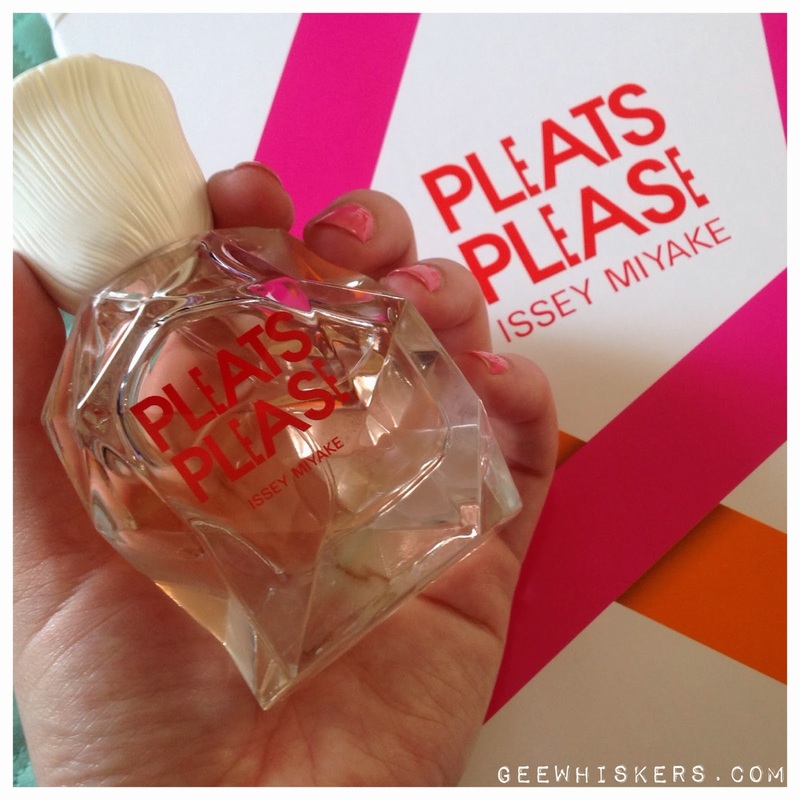 Issey Miyake Pleats Please / Gee Whiskers! I am a HUGE lover of perfumes so when I was lucky enough to win a perfume on In My Bag I nearly jumped out of my skin with joy. Especially because Pleats Please perfume has hints of sweet peas (my favourite flower is a sweet pea). The perfume opens with apples and pears. The heart of the perfume has notes of peonies and sweat peas. Patchouli, cedar, vanilla absolute and white musk make up the base of the perfume. The perfumes lasts incredibly well throughout the day. The design of the bottle is beautiful, styled after the Bio Bag from the Pleats Please collection (which I wish I owned) and the lid represents white flower. I truly love this perfume especially because it reminds me so much of my childhood - I planted sweet peas in the garden with my Mom and to this day I get so happy whenever I see or smell sweet peas. I have only heard great things about the fragrance! Have to go try it! It is such a beautifully femanine fragrance!